Today, Public Lands Solutions (PLS) pushed back against Interior Secretary Ryan Zinke’s newly announced changes to the Greater sage-grouse conservation plans that will hurt the outdoor recreation economy across the West. Through an analysis of past reports by the Outdoor Industry Association and ECONorthwest, PLS found that Sec. Zinke’s changes to the sage-grouse plans could imperil the $1 billion dollars in annual economic output that takes place on sagebrush lands managed by the Bureau of Land Management (BLM) across 11 states, which could cripple local communities and eliminate support for jobs in the outdoor recreation industry. In Colorado, for example, the economic impact would be particularly significant. According to a report by ECONorthwest each year more than 1 million people come to Colorado and enjoy outdoor recreation activities on BLM sagebrush landscapes, including on the Yampa River, a well-known fishing and rafting destination. These visits provide substantial benefits to local economies, including $76 million in economic output, and over $22 million in personal income according to an analysis by ECONorthwest. On top of important tourism revenue and local jobs, access to land in its natural state is bringing new and diverse businesses to many rural communities around the West. As resource extraction revenues decrease, these wide-open spaces are allowing communities to build trails and other recreation assets that improve quality of life and bring new residents and new businesses. 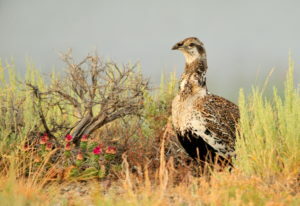 The Bureau of Land Management’s state-driven Greater sage-grouse plans resulted from years of compromise and have led to a variety of benefits including the protection of recreation opportunities.